Stay up to date with the latest happenings in and around Albany and the Great Southern region. Contact our onsite team for more inspiration on where to dine and things to do while staying at Best Western Albany Motel & Apartments. Take a little time to meet the makers, and sample their unique community life in the vineyards. Then pair with your chosen wine with a stunning view, artisanal local produce and good company to share your stories after a full day of adventure. Albany is Officially the 2nd Best City in Australia for 2019! Albany has been named runner up in Wotif.com's 2019 Aussie Town of the Year Awards, a close second to Port Fairy in Victoria and the only Western Australian town to make the list making Albany top WA Destination! The Australian booking website ranks destinations across the country based on accommodation affordability, tourist demand and traveller reviews. View the full list of Wotif.com’s top Aussie towns here. "Four and half hours drive south of Perth, Albany has Anzac heritage braggability by the bucketload. But in addition to the trove of war stories and revered sites, nature's surrounding bounty is enthralling." An amazing write up in the NZ Herald by Mike Yardley, sharing the many incredible aspects of the amazing South Coast. Adventuring to this stunning part of the world? It's definitely worth the read! If your girl group’s idea of an escape is hiking up mountains, going for long oceanside walks and getting totally immersed in nature, head to Albany stat. Here's Urban List's best girls weekend escapes from Perth. Field of Light | Avenue of Honour: Have You Been Yet? For the next six months as daylight slips away, Mount Clarence will shine with 16,000 spheres honouring the men and women who lost their lives in the Great War. Click below for full details and exclusive packages. The Amazing South Coast's Liberte has been named Bar of the Year by Australian Gourmet Traveller! Much of Liberté's charm lies with owner-chef Amy Hamilton's interpretation of French and Vietnamese flavours using Great Southern ingredients. Liberte is an easy walk along Stirling Terrace from our motel! The Amazing South Coast featuring in Australian Gourmet Traveller! The Amazing South Coast featuring in Australian Gourmet Traveller! Quiet beaches, incredible surf and passionate producers of whisky, charcutierie and more. Welcome to the west. Book 1 x night accommodation and receive 2 x adult tickets to the popular Harbourside Concert Series presented by Albany Entertainment Centre. There truly is something for everyone in Albany, from gourmet wine-lovers, to intrepid 4WD explorers, to backpackers – and everyone in between. Here is our top 10 things to do in Albany. If sampling the local fare is your idea of fun, consider the amazing South Coast a foodie’s heaven. There's definitely no shortage of food and wine experiences. Check out The Amazing South Coast's short list below. Check out The Urban List Perth's Albany and Denmark bucket list, how much can you tick off in one weekend? One of the state’s best craft distillers and a landmark small bar are leading a fresh wave of dining entrepreneurs in Western Australia’s oldest town into a noteworthy eating destination. We are excited to be posting a series on our social channels to introduce you to our wonderful team. 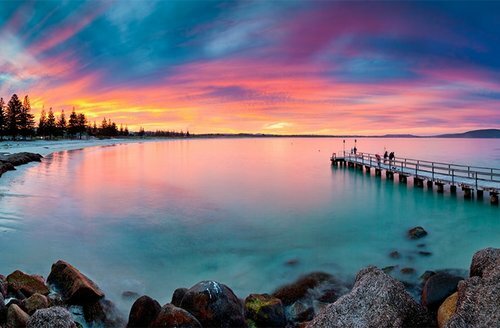 Get to know their favourite beaches, restaurants and must do’s in Albany. Looking for something to do on the weekend? How about a stroll along the beach? Regularly voted one of Western Australia’s best beaches Little Beach in the Two People's Bay Nature Reserve is absolute paradise, with turquoise waters and squeaky white sand. Life is suuuuuite with all the extra space you need to indulge in our 2 Room Junior Suite. Suitable for families with children, young couples or singles happy to share. Each suite offers two bedrooms and with a shared ensuite. Immerse yourself in the Anzac Albany story at the National Anzac Centre. Discover personal stories of the Anzacs through state-of-the-art technology, multimedia and historic artefacts. The Albany Entertainment Centre is at the heart of Albany's live entertainment and arts scene. Check out what's on and and view upcoming events. 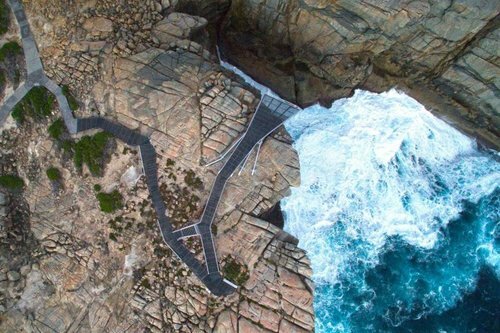 Have you completed the 10 Great Walks in Amazing Albany yet? If not, it's time to book in another hiking holiday. Book 2 x nights accommodation and receive 2 x adult tickets to the popular Harbourside Concert Series presented by Albany Entertainment Centre. Why not start the day with a healthy continental breakfast? We offer delicious breakfast options for you to choose from. Love getting freebies? Book direct to get free WiFi. Looking for the perfect destination to mix business with pleasure? We offer the perfect venue for residential conferences, meetings or functions with everything you need to conduct a successful event. Don't pay more! Book direct and get $10 OFF all room types. We are offering $100.00 off our fully self-contained apartments. So make a booking now, before it ends. We have reached 100 LIKES on Facebook! To celebrate 100 Likes we are offering our loyal guests, friends and followers $100.00 off our fully self-contained apartments for 100 hours only. So make a booking now, before it's too late. We are proud to be sponsoring the world premiere The Light House Girl presented by Albany Entertainment Centre and Black Swan State Theatre Company. Be sure not to miss this premier event. Stay up to date with our latest offers, exclusive promotions and giveaways! Book our newly refurbished Premier Harbour Room and enjoy views over the Princess Royal Harbour. Book direct to get our best rate guarantee + free WiFi.